It’s not really a foto, but it’s Fun! And to my favorite friend who likes to pull my beard from afar, this one’s for you! 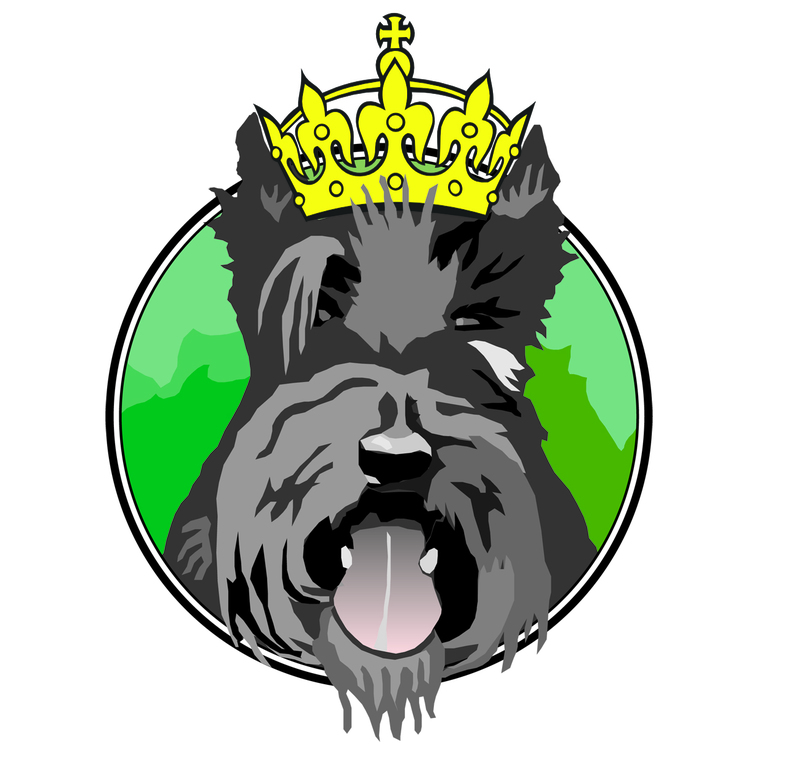 This entry was posted in art, dog art, Terriers, The Scottie Chronicles and tagged dogs, Keep Calm, meditation, pets, Scotties, Scottish Terriers. Bookmark the permalink. Well, dear Stuart….we always knew you were of ‘royal bloodines’ ~~~~ the crown just proves it !!! If we’re all lucky, your mom, too, can have this picture. So stay tuned! Well said and executed! You are some Scottie! You can Easy on, too! Arrrrrrrrrrrooooooo! I love it. Keep Calm and Scottie On! Yeah…. good one. I thought you would my buddy! That is good advice for everybody! I will think of you whenever I repeat it! When did calm and Scottie start to be in the same sentence? I think you deserve a big treat for this one. Off to get a treat now my love! BOL you should so put that on a mug! !